Your dog needs entertainment, especially if you are not home or are busy. If it doesn’t get enough entertainment, it will resort to doing other things which usually involves the destruction of your precious stuff. The best way to solve this problem is to get a dog chew toy with which it can spend hours playing. Dogs, especially those that are growing up, need something to chew almost all the time. In puppies, it is because their milk teeth are coming out and they are getting their actual pair of teeth, so to reduce the irritation, they resort to chewing stuff. Other dogs like to chew because they might not be getting enough attention. This can also be very dangerous as they might start destroying your home just to get your attention. Some dogs love to chew just for the heck of it. Providing the dog with a sturdy chew toy will help you sort out their chewing and entertainment problems to some extent. There are many other reasons why chew toys are important for your dog. Knowing them will encourage you to go out and buy best dog chew toys. Chew toys can’t be overrated..get new ones every month delivered to your door with no fuss, get BarkBox! If a chew toy is the sort that you can also play with your dog, there is nothing like it. A Frisbee, ball, rope, or any toy that can be used by you and your dog can be helpful in this way. You will get to spend quality time with your dog outdoors, having a great time and creating a strong bond with each other. If you have more than one dog, these toys also encourage them to interact with each other and form a bond between themselves. Dog Chew toys, especially those that can be thrown away or bounce, provide a lot of fun for the dog. They also provide it with a ton of exercise. Combining a good walk along with some exercise with a chew toy, a dog can be worn out easily, resulting in a long sleep. It will keep the dog in top shape and lower the possibilities of any health problems. Many dog chew toys come with bristles or are designed in a way that they clean up a dog’s mouth and teeth while it is playing with them. This makes sure that it does not experience any dental problems and that it has good mouth hygiene. It is always a good idea to invest in toys that promote dental hygiene in dogs. Don’t just protect his teeth, make sure his joints are in tip-top shape with Pet Bounce Multivitamin! 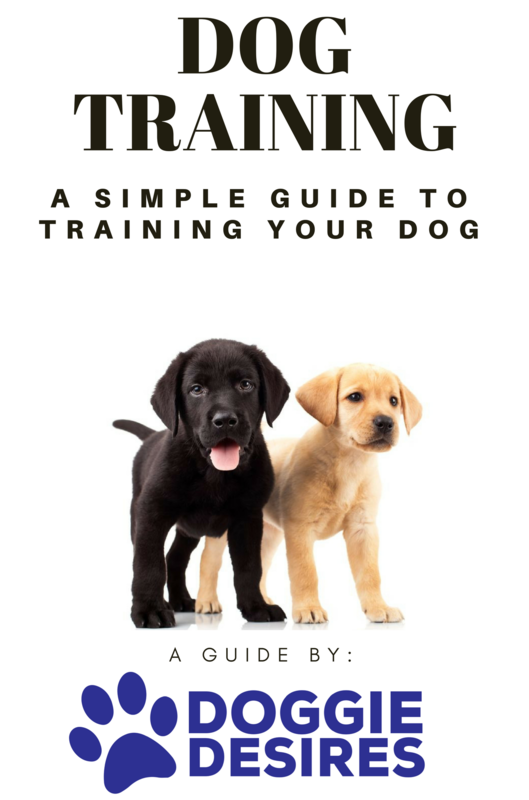 Many dog breeds are actually working dogs and they need some sort of entertainment to keep their mind off other stuff. A dog which is thoroughly tried from its day will be less likely to do anything bad. However, if a dog is bored or is not receiving the amount of stimulation it requires, it will eventually start getting destructive. Now that we have discussed the importance of dog toys, you will need to know the best dog chew toys that are available for you to give to your dog. The toy has been ergonomically designed to provide more satisfaction to the dog when it is busy chewing it. It comes in the shape of a wishbone so that the dog can hold one end with its paw or arm, shooting the other end up a little higher from the ground which allows a better position for the dog to chew it as much as it wants. If your dog weighs more than 70 pounds, it is recommended that you do not give it this chew toy as heavier dogs have more strength. They will easily be able to tear the toy apart, which can eventually end up harming the dog. The toy is made up of real flavor and ingredients so that when the dog is busy chewing it, it would get the taste of bacon. It even smells that way to provide more satisfaction to the dog as the toy is also made up of real ingredients. The toy has been made with deep grooves, which give the dog more area to chew and allows for a better bite and a more rewarding bite. The toy ball is about 2 and a half inches in diameter, and it is also suggested that it be used for medium-sized dog breeds. The toy also consists of a squeaker, which is well hidden inside it. This ensures that it does not interfere while playing and does not come out too easily. Hence, there won’t be a fear that the dog will accidently chew up the squeaker. It is made up of high-quality tennis ball material that dogs usually fall in love with. 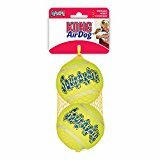 With a build that is strong enough to withstand rough use by the dog, the ball also has a soft outer covering, which ensures that it does not harm the dog’s teeth. It also has a great bounce to it and combines the best of two for the dog: a squeak and a tennis ball. You get three balls together when you go out to purchase it and the best part is that they are very reasonably priced. The ball is made up of quality strong synthetic felt, which ensures that it can withstand a long playtime with a dog. This dog chew toys is available in various sizes, namely extra small, small, medium, large, extra large and extra extra large. You can buy any one of these sizes, depending on the size of the dog that you own. This toy is best for dogs who like to chew. If you have a puppy that is in the teething stage and would like to chew on anything and everything, this toy is the best option for you. It is made up of all natural rubber and bounces very well, giving hours of fun time to your dog. It is best that you use this toy for breeds whose sizes range from medium to large. It also makes an amazing toy for a game of fetch; you will both end up having a lot of fun. 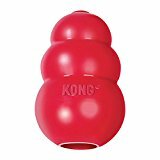 This toy has also been recommended by many vets and dog trainers, making it highly desired for dogs, especially hyper ones. 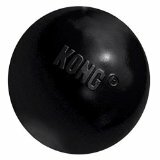 One of the best balls that you can have, it is especially good for outdoor play. It comes in a variety of sizes and is best suited for dogs that are medium to large in size. The ball is extremely bouncy; it is very durable and sturdy as well. The puncture resistant ball can endure a dog’s bite and ensures that it will last for a long time. The ball also has a small hole in the center, which allows it to change its form when the dog has it gripped in its mouth. It goes back to normal once it has been let go of by the dog. This toy comes in two different colors, which are red and black. It also comes in two different sizes but different packs: small, small pack of 2, large and large pack of 2. 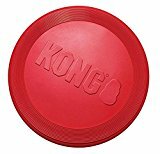 The frisbee is completely made up of natural rubber, which is very durable and ensured to last for a long time. The toy itself is very safe for dogs to use. It does not leave any impact on their teeth or gums. The best part about the toy is that it encourages you and your dog to play together while providing a ton of exercise for your dog along with promoting healthy play. The toy has been structured such that it seems to be extremely tough. This is the reason dogs cannot chew so much that the toy is destroyed. The toy discourages them from doing so while fulfilling their need to chew on something. It has been given a great shape that helps in making the dog’s teeth stronger. The toy also provides hours of fun play time for the dogs. It has been designed with extremely strong nylon, which makes it almost indestructible to dogs who are heavy chewers. Bristles have also been added to the toy, which stand up when the dog is playing with the toy. They make sure to clean the dog’s teeth and mouth, making sure that it has minimal plaque and tarter. The bone also comes with an original flavor which gets released when the dogs are chewing it, which makes the toy more appealing to them and makes them spend hours on it. This is one of the best dog chew toys if you are looking for a toy that cleans your dog’s teeth and gets rid of the tartar and plaque. This dental chew toy has a texture that ensures your dog’s mouth is cleaned up while it is playing with it. This toy works when the dog bites into it, which makes the bristles on the toy stand up. These bristles then do the job of cleaning up the dog’s mouth properly. It is recommended for dogs who weigh up to 50 pounds and are strong and heavy chewers. You can also get this toy in various dinosaur shapes, ranging from the stegosaurus to the t-rex. Made for large dogs, this chew toy can be used for dogs that weigh equal to or more than 50 pounds. It has been built extremely sturdy so that the dog does not feel the urge to destroy as it may hurt its teeth. The toy at the same time ensures that the dog’s chewing needs are fully satisfied. The shape of the toy is such that it ensures good oral health and strengthens the dog’s teeth. It provides many hours of entertainment as well. The material is made up of very strong nylon, which cannot be easily destroyed and can last for a long time. The toy also comes with bristles which stand up when the dog starts to chew it. These bristles clean the dog’s teeth completely and make sure that there is no tartar or plaque left on them therefore making it one of the best dog chew toys available on the market. Dogs love to play with ropes. They love to pull them and tug them as hard as they can. With this toy, even you can have some fun with your dog. While you pull one side of the rope, your dog will pull the other. This toy is 25 inches long and has three knots in it, which are placed apart from each other. This provides a dog with maximum fun while playing with it. The fibers of the rope are strong and durable which also act as a dental floss, cleaning the inside of its teeth when it is playing with it or chewing it. The rope is also made up of cottonblend, a color material which gives it its different look. Sometimes when you are busy and are unable to provide your dog with the attention it requires, it is best that you give it a chew toy so that it can entertain itself. You will find that dogs can be very picky, so it is best that you try a few different types of chew toys for your dog until it finally picks one. It is after that you will find it hard to separate your dog from its chew toy.